The winter, snow-covered scenery outside the window. Right behind this – impressive and majestic – the Dachstein gives you an appetite for more. This is what a winter holiday in Vitalhotel Gosau is like. Whatever way you prefer to explore the wintry natural surroundings in the Salzkammergut region is up to you. Adventure-packed or leisurely, day or night. In the contemplative mountain village of Gosau and on the nearby pistes in the Dachstein West ski region there are almost unlimited options for outdoor activities. It is not without good reason that the Dachstein region is one of the most popular winter sports destinations in Austria. If you would like to explore the snow-covered Gosautal valley, then a romantic horse-drawn carriage ride is perfect. You get to relax and enjoy the wintry landscape and the views to the mountains. The contemplative mountain village of Gosau is particularly charming, at night-time too. During a guided hike by torch-light you get to experience a night-time adventure in the snow – fun for all the family! Snow-shoe hikes are a special adventure for all ages and are guaranteed to be great fun. Well kitted-out, head through the mountains or the fairy-tale woodland in Gosau together. On the summits you can gaze in wonder at the impressive Dachstein massif, which lies before you. Or gaze from the valley across the undreamed-of expanses of snow-covered mountains. Hiking in the winter is a bit different, even without snow-shoes. Take the Panoramajet cable car up the mountain and from there walk to the alpine lodge at the Hornspitzbahn and enjoy some delicious regional foods and an unforgettable panoramic view. Those of you who have a thirst for adventure can let off steam on the free Rabenkogel toboggan run in Gosau. Action-packed fun on toboggans down the 1.8 kilometre route. Particularly keen tobogganers can be timed, while on Fridays things are a bit more leisurely with some tobogganing by torchlight. An authentic, unique outdoor experience during your winter holiday in the Salzkammergut! Those of you who are planning an excursion should head to the alpine plateau on the Krippenstein. If this is the first time you have made your way to the summit, a world full of snow adventure awaits! Dog sled rides, ice climbing, balloon rides and freeriding are just a few of the winter activities which you can look forward to. Whatever you decide to do, the 360-degree mountain panorama is always in view. Looking for an alternative to skiing or snowboarding? Then why not give airboarding a go on the pistes in the Dachstein region. 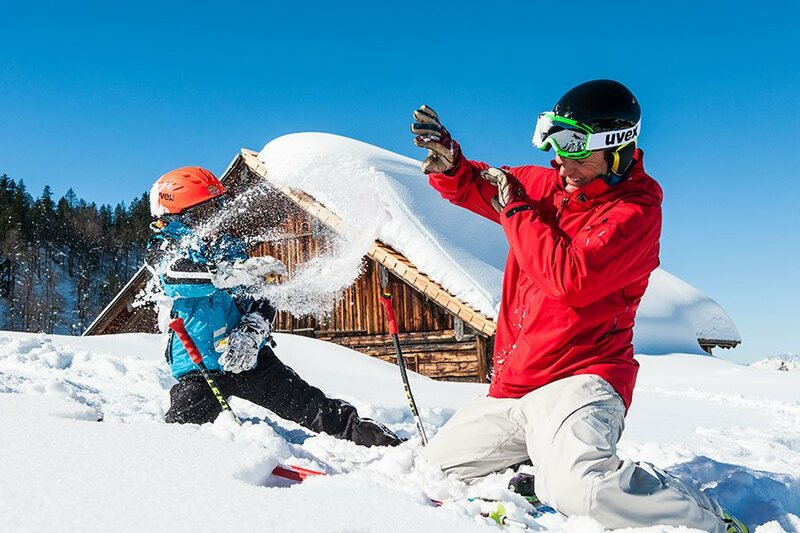 The accessories you need, including training, are available in local ski hire areas. Let the fun begin! Want a bit more variety during your winter holiday on the Dachstein? 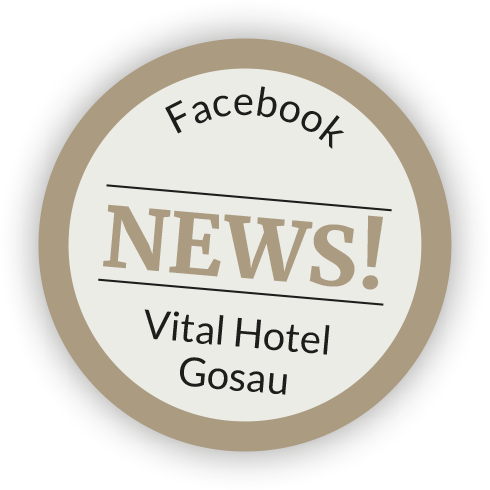 The team from Vitalhotel Gosau are happy to advise yo about further offers, in conjunction with their trusted outdoor partner "Laserer Alpin".